and the artist Ms.Roosmarijn Pallandt and the designer of Studio Ina-Matt. Together they made a new interpretation of the century old Japanese sweet tradition in Hirado which resulted in 24 special sweets. Please come and join us and hear the full story behind these beautiful sweets. 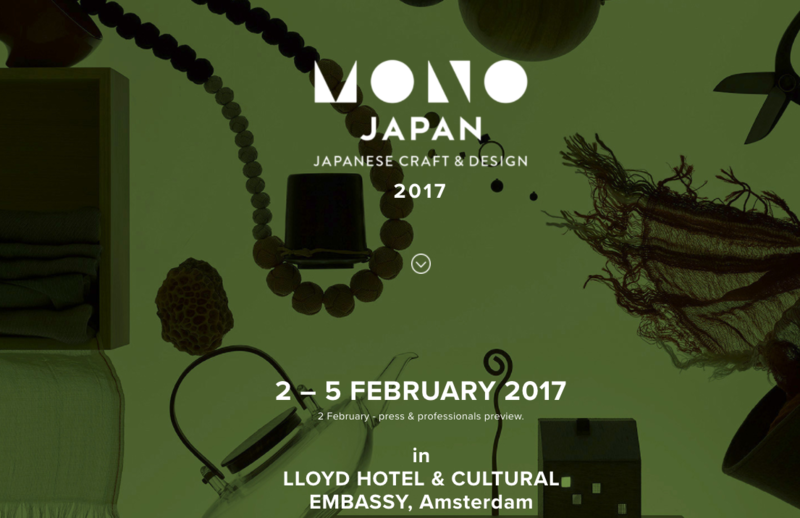 with a valid entrance ticket to MONO JAPAN 2017. In the 16th century western culture first arrived in Japan on one of Kyushu’s westernmost islands: Hirado. In 1609 the Dutch founded their first trading post in Japan bringing along many foreign products including sugar. Through the international trade, Hirado was influenced by foreign sweets culture. The combination of imported sugar and the Chinshin School of Tea, gave rise to Hirado’s unique culture of sweets. The “Encyclopedia of 100 Sweets”, created almost 200 years ago tells the story of the meeting of two cultures though vivid drawings of sweets. Taking their inspiration from this old scroll, Dutch designers INA-MATT and Roosmarijn Pallandt combined tradition and innovation to create a new chapter in Hirado’s sweets culture, ready to be told to the rest of the world. Together with local sweet makers and porcelain craftsmen they started on their journey to create a new sweets culture. In this lecture the makers and the project producer Chitose Ohchi will give a preview of Sweet Hirado before it’s official European release in 2017/2018.